Antoinetta di Borbone, Principessa di Parma was born on 21 October 1784 at Parma, ItalyG. She was the daughter of Ferdinando I di Borbone, Duca di Parma and Marie Amalie Erzherzogin von Österreich. She died circa 1786. She gained the title of Principessa Antoinetta di Parma. Luisa di Borbone, Principessa di Parma was born on 17 April 1787 at Parma, ItalyG. She was the daughter of Ferdinando I di Borbone, Duca di Parma and Marie Amalie Erzherzogin von Österreich. She died on 22 November 1789 at age 2 at Parma, ItalyG. She gained the title of Principessa Luisa di Parma. Carlotta di Borbone, Principessa di Parma was born on 1 September 1777 at Parma, ItalyG. She was the daughter of Ferdinando I di Borbone, Duca di Parma and Marie Amalie Erzherzogin von Österreich. She died on 5 April 1813 at age 35 at Rome, ItalyG. She gained the title of Principessa Carlotta di Parma. Maria Antoinetta di Borbone, Principessa di Parma was born on 28 November 1774 at Parma, ItalyG. She was the daughter of Ferdinando I di Borbone, Duca di Parma and Marie Amalie Erzherzogin von Österreich. She died on 20 February 1841 at age 66 at Rome, ItalyG. 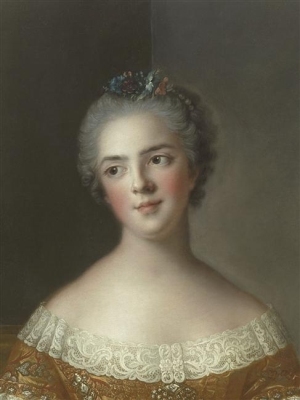 She gained the title of Principessa Maria Antoinetta di Parma. 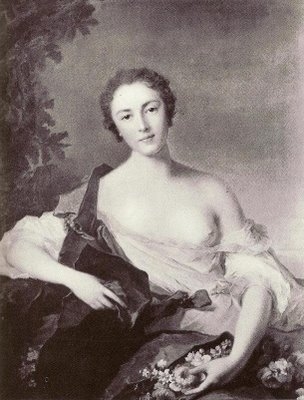 Pauline Mailly de Nesle was born in 1712. 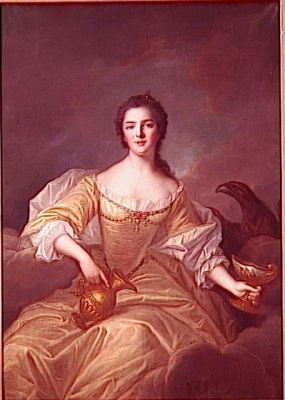 She was the daughter of Louis de Mailly, Marquis de Nesle and Armande Felice de la Porte Mazarin.1 She died in 1741, unmarried. She and Louis XV, Roi de France were associated. Charles Emanuel de Vintimille, Marquis de Luc was born in 1741 at Versailles, Île-de-France, FranceG. He was the son of Louis XV, Roi de France and Pauline Mailly de Nesle. 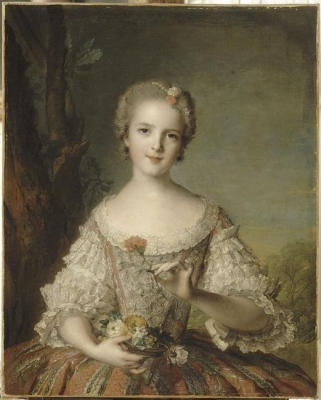 He married Marie Adelaide de Castellane-Esparron in 1764 at Versailles, Île-de-France, FranceG. He died in 1814 at Saint-Germain-en-Laye, Île-de-France, FranceG. He gained the title of Marquis de Luc.